With food truck fever continuing the sweep the nation there are now trendy mobile eateries that serve everything from cupcakes to sushi to on-the-go consumers. Yet for every run-of-the-mill Korean taco truck and sandwich stand there are a handful of mobile food ventures that are pushing the envelope with new and innovative dining concepts (Photo Credit: Facebook/Del Popolo). Throngs of restaurants do their best to serve locally sourced ingredients and support local food artisans, but Lulu's Local Eatery takes the concept a step further by using herbs and fruits harvested on the roof of their food truck. 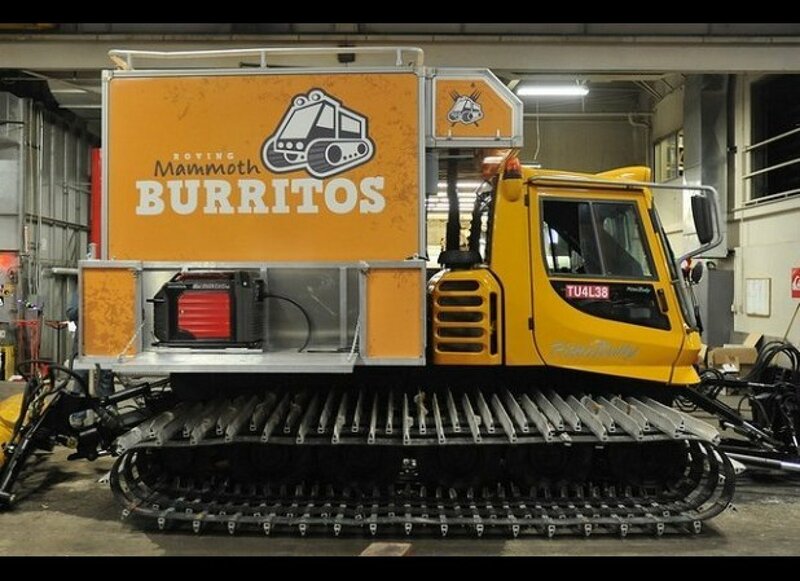 And the Roving Mammoth in Mammoth Lakes, Calif. is constructed on top of a Snowcat so that it can offer slope-side burritos to skiers even under the harshest conditions. 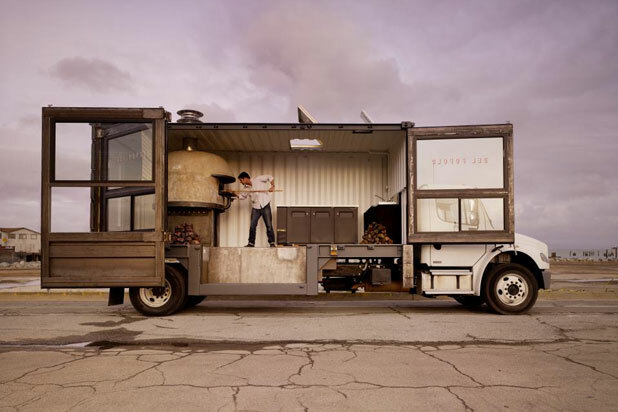 Ever imagine ordering a brick-oven pizza from a truck? The pizzaiolos behind Del Popolo in San Francisco created one of the first mobile pizza ovens in the country, and designed stunning floor-to-ceiling windows so customers can watch their food being prepared. And for the country's smallest food truck venture to Austin, where Verts is serving up Berlin-inspired döner kebap from a smart car food truck. From a fully-electric food truck to one with an iPad ordering system, these mobile culinary ventures are expanding the limits of innovation in the world's dining scene. Roving Mammoth – Mammoth Lakes, Calif.